At Appleton Prosthodontics, patient education is an important part of our treatment process. We want our patients to feel comfortable and confident in the treatments they receive, particularly advanced restorative solutions like dental implants. Given the versatility of this treatment, dental implants can be used in solutions for replacing single or multiple missing teeth, ranging from accidental tooth loss (avulsion) to tooth loss caused by gum disease. During your visit to Appleton Prosthodontics, our dental specialist will conduct a thorough examination of your smile to determine if dental implants are right for your smile. Looking for Affordable Dental Implants in Baton Rouge? Call us Today! 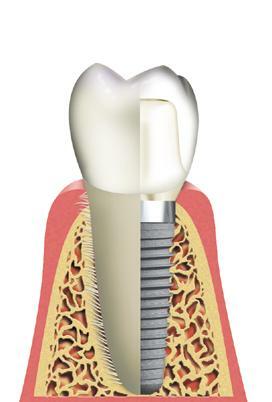 Appleton Prosthodontics offers a number of dental implant options, ranging from single dental implants to full mouth restoration with implant dentures. Call our Baton Rouge dental specialist today to schedule your consultation.